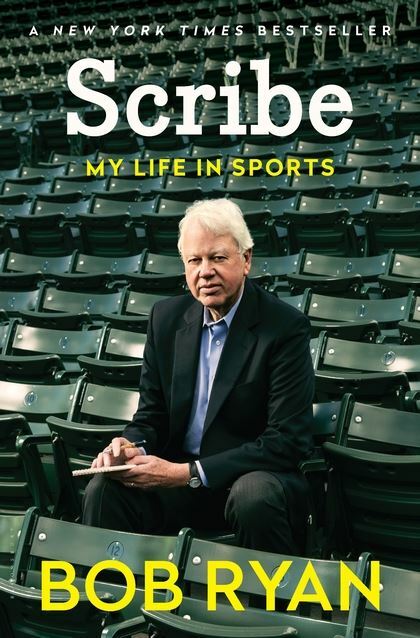 Boston College alumnus Bob Ryan has been called the “quintessential American sportswriter.” After decades as a writer/columnist for the Boston Globe, Ryan has published the bestseller Scribe: My Life in Sports (Bloomsbury, 2014). Part memoir and part Boston sports history, Scribe recounts Ryan’s childhood, memorable people and moments in sports–especially the Celtics, as well as the changing way sports is covered by the media. In addition to the Globe, Ryan is known for his work on ESPN. Ryan is the author/co-author of more than 10 other books, including Celtics Pride and When Boston Won the World Series. Boston College student Mike Kotsopoulos recently interviewed Ryan for the Vineyard Gazette. This entry was posted in Alumni Authors and tagged Boston, memoir, sports. Bookmark the permalink.